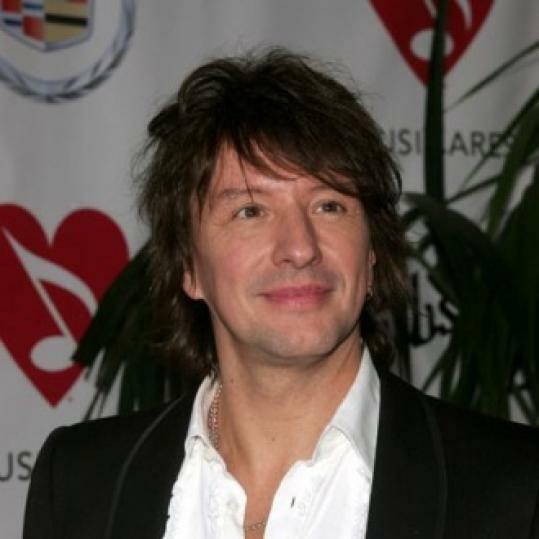 Richie Sambora was arrested for driving under the influence (DUI) on Tuesday (25.03.08). The Bon Jovi guitarist - who was travelling with his 10-year-old daughter Ava and another unidentified girl - was stopped by police at 10.52pm after they noticed his Hummer vehicle weaving along the road in California's Laguna Beach. Sergeant Jason Kravetz of the Laguna Beach Police said they gave the 48-year-old musician a blood alcohol test at the scene, adding: "He smelled of alcohol. He was quiet and cooperative and he didn't cause any problems." Sambora - who was released from custody at around 4am on Wednesday (26.03.08) - will appear in court for his arraignment on May 7. A representative for Sambora is yet to comment on the incident. Ava is Sambora's daughter with ex-wife Heather Locklear, whose divorce was finalised in April 2007 after nine years of marriage. Due to Ava and the other girl's age, Sambora - who split from girlfriend Denise Richards last year - could be charged with child endangerment. Sambora has had problems with alcohol before, and entered rehab last June. Following his treatment, he said: "I was just drinking too much and I needed to get my life together. I'm still in therapy and stuff like that, but it's good. I'm great. I feel fine."